Swap a competitor LPG cylinder and we’ll give you a replacement FREE*. 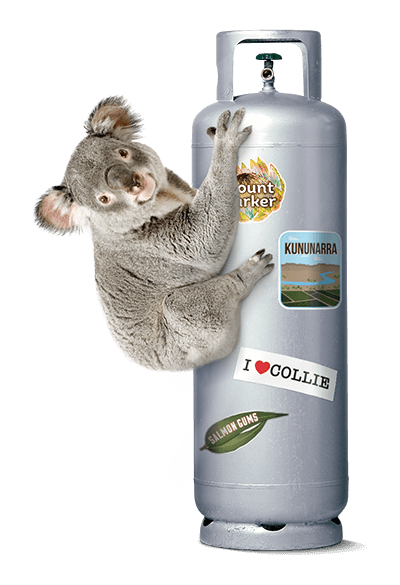 If you’re ready to switch to a local WA born and bred supplier, we’ll be happy to take your old 45kg LPG cylinder and replace it with a new Kleenheat cylinder, free of charge*. Kleenheat is your local LPG supplier with over 60 years’ experience in Western Australia. For more information, call 13 21 80 or visit us at Hopetoun Caravan Park – 30 Esplanade, Hopetoun. *This offer is available only to new residential Kleenheat customers in Hopetoun, Western Australia for the supply of household LPG at a single residential address. Kleenheat will supply new customers up to two (2) full 45kg LPG vapour cylinders on the next available delivery day. Offer ends 31 December 2019. This Offer is available only to new residential Kleenheat customers in Hopetoun, Western Australia for the supply of household LPG at a single residential address. Acceptance of this Offer can only be made by you establishing a new LPG account with Kleenheat on or before 31 December 2019. By accepting the Offer, you agree to these terms and conditions. Your agreement with Kleenheat (“Agreement”) will consist of the terms and conditions of this Offer and Kleenheat’s standard Terms & Conditions for Residential Cylinder Users (a copy of which is available at www.kleenheat.com.au/lpg/hopetoun. In the case of any inconsistency, this Offer will prevail. You authorise Kleenheat to remove any existing 45kg vapour cylinders from your premises at the time of delivery, or to arrange for their removal. You acknowledge that Kleenheat will replace your existing cylinders (regardless of whether they are empty or have gas remaining in them) and that no credit or other allowance will be made for gas remaining in the cylinders that are removed. This Offer includes the deferral of the usual cylinder rental (service charge) that applies to 45kg LPG vapour cylinders for the first 12 months. The standard Kleenheat service charge will apply after the end of the initial 12 month period. This Offer expires on 31 December 2019 and cannot be accepted after that date.